You might think that an ordinary toothbrush will get your teeth and gums clean, and while they often will, there are specialty toothbrushes for those who need a little more care when cleaning the mouth. You can find these brushes at most retail stores, online and at dental offices. If you have braces, then a traditional toothbrush might not be able to clean around the brackets, which can result in debris being left behind after you brushing. There are brushes that you can get with bristles that will get under the wires a little easier than ordinary ones that sometimes just glance over the surface of the teeth. This kind of brush can help ensure that the areas around the braces are cleaned so that you have a beautiful smile once the appliances are removed in the future. A brush with soft bristles is ideal if you have gums that are sensitive and bleed when any pressure is applied. The bristles are comfortable on all areas of the mouth, and the handle that is on the brush is soft as well so that it's easy to hold. You can find brushes with soft bristles for children as well as adults. These are an option for those who are elderly and might not be able to tolerate a firm brush in the mouth. If you have had any kind of surgery in the mouth, such as wisdom teeth that have been removed, consider a post-surgical brush. The bristles are ultra soft, and the head of the brush is slightly angled to make it easier to reach all areas of the mouth. Some brushes that are designed for those who have had surgery can also be used by teens who might have teeth that are crowded so that the areas behind the teeth can be cleaned as well. There are brushes that you can get that have a dual head. The design is simple with the bristles on one end and a small pic on the other. 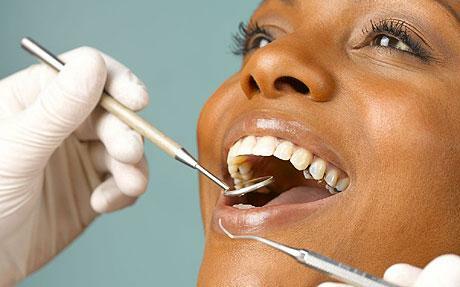 The pic is used for removing debris from between the teeth to make it easier to brush and floss.